EU 2019-2024: how can we support viral hepatitis elimination in line with the WHO Global Strategy and UN SDGs? 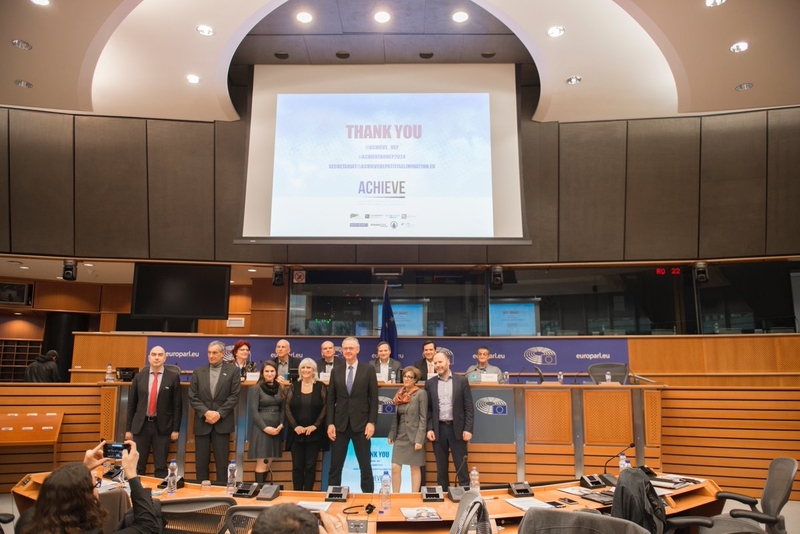 On 4th December 2018, members of the ACHIEVE coalition gathered in the European Parliament with policy makers and representatives from European and global agencies to discuss what the next EU legislature can do to help viral hepatitis elimination become a reality in Europe by 2030. 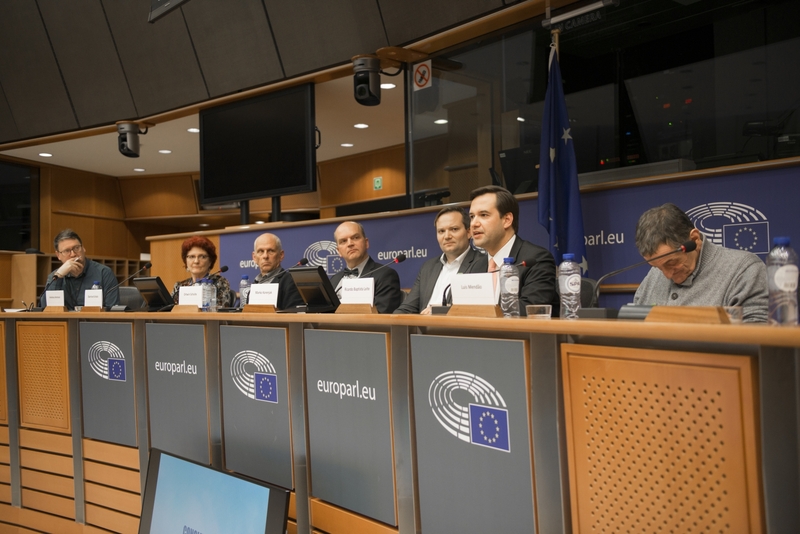 The high-level panel discussion was co-hosted by MEPs Cristian-Silviu Busoi and Karin Kadenbach. In her introduction, ACHIEVE chair Tatjana Reic from the European Liver Patients’ Association highlighted that “… All Hepatitis patients, no matter whether they live in the street, or whether they live in a palace, whether they got infected whilst injecting drugs, through a contaminated blood transfusion or through a non-sterile tattoo needle, all these patients have a right to know whether they have the disease, and they have a right to treatment and cure. We need the EU – Council,Commission, Parliament, to help these patients and implement the WHO Global Strategy and the Europe Action Plan to achieve elimination by 2030”. 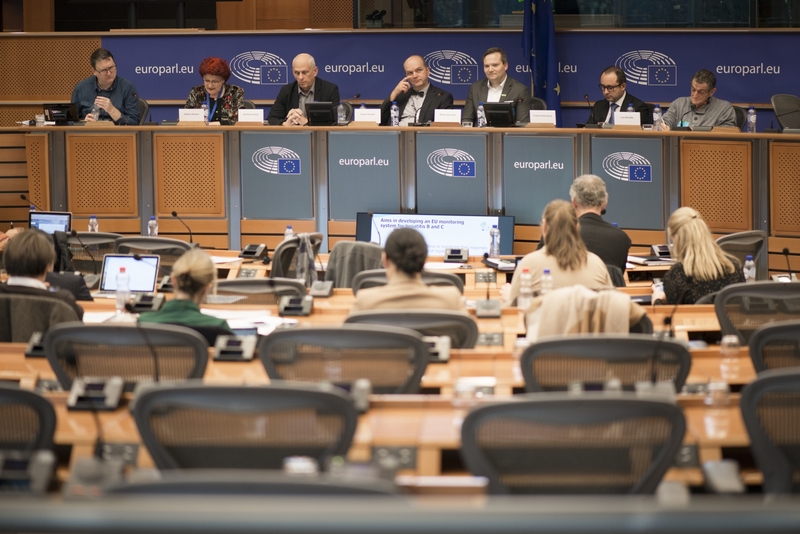 Dr. Cristian-Silviu Busoi MEP confirmed that good work has been done in the curren tlegislature, such as the adoption of the Staff Working Document from July 2018,it will be important for the European Commission to further engage with Member States in the next EU legislature to ensure impactful policies are put in place to make elimination happen. Dr. Antons Mozalevskis provided an opening statement on behalf of the WHO Regional Office for Europe and highlighted that while the WHO European region is the most virtuous one compared to other world regions when it comes to hepatitis elimination, a lack of effective surveillance and weak data systems still hamper the EU response to hepatitis. Dr. Mozalevskis also valued the good cooperation with the European Commission’s agencies ECDC and EMCDDA to work on more effective surveillance. Health attache Tanja Milin Horvat provided a key note on behalf of Professor Dr. Milan Kujundžić, the Minister of Health of Croatia who had to cancel his participation at short notice. She highlighted that although most infected people are unaware of their condition, Croatia aims to fulfill the WHO elimination goals and seeks to adopt a national strategy plan on viral hepatitis in 2019, hoping that this will also set an example for neighbouring countries such as Serbia or Bosnia and Herzegovina. In his video-message, EU Commissioner Andriukaitis highlighted that monitoring and testing are the key tools that can help ‘find the missing million’. He also stressed the importance to improve outreach to marginalized communities and risk groups such as drug users, migrants and prisoners. Success could only be attained, if all stakeholders were to coordinate their efforts to fight hepatitis and work together, sharing both data and best practice. Panel 1: Can the EU help find the missing millions? 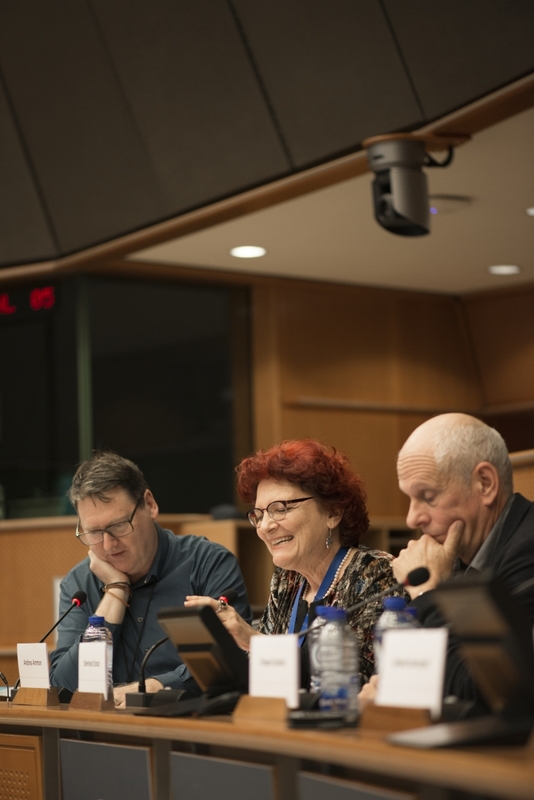 In her introduction, MEP Karin Kadenbach highlighted that hepatitis screening is a perfect case example for the need of health in all policies with many risk groups living in precarious circumstances,often out of the scope of the healthcare system. She also quoted from the European Commission’s Staff Working Document on the need to scale up screening of viral hepatitis. Professor Massimo Colombo,Chairman of EASL International Liver Association and member of ACHIEVE, stressed the evidence that Hepatitis C treatment and targeted screening of risk groups are cost-effective.Hepatitis is a disease that leads to multipl eco-morbidities, he noted, and early diagnosis can prevent the onset of many collateral pathologies and reduce liver mortality considerably. Some EU countries have already started addressing these issues and are setting the path to elimination. Romania just launched a National Hepatitis Plan in May 2018. Dr. Corina Pop, Personal Adviser to the Romanian Minister of Health, outlined the pillars of the Plan: increasing vaccination rates, improving screening, maintaining blood donations security,preventing infections associated with injecting drugs use and improving outreach to other risk groups, such as new-born, healthcare workers and transplanted and dialysis patients. Romania has used EU Structural Funds to finance hepatitis screening, a funding source which is to date unfortunately not often considered by legible EU Member States. Professor David Goldberg, Consultant in Public Health Medicine and Clinical Epidemiology at Health Protection Scotland, outlined the Hepatitis C Action Plan, the first of its kind and launched already in 2006. The Plan comprises three distinct phases, with the first phase mainly aimed at gathering evidence on hepatitis incidence and prevalence in the country, a second phase aimed at framing action to improve prevention, diagnosis, treatment and care based on the evidence gathered, and a third phase aimed at developing an outcome-based investment plan. Panel 2: Is Europe-wide monitoring important? 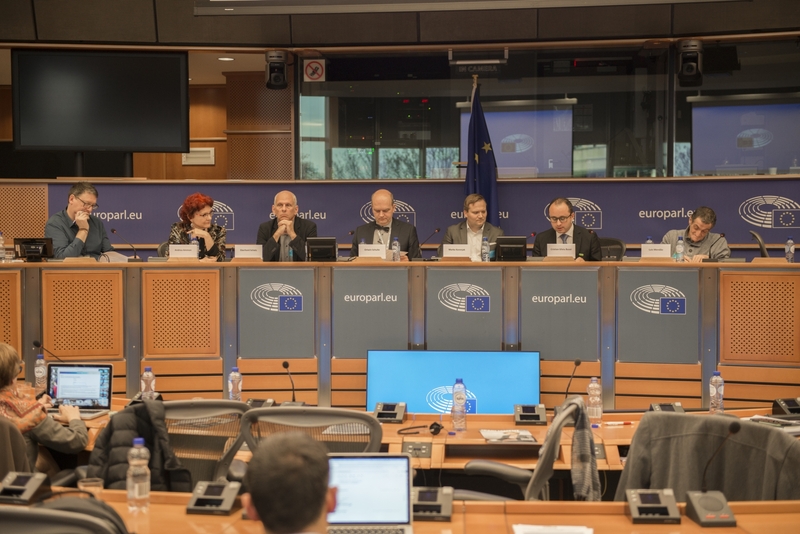 In line with David Goldberg, Dr. Andrea Ammon, Director of the European Centre for Disease Prevention and Control (ECDC) highlighted that a key obstacle in reaching the elimination target is that data sources are currently insufficient and that many countries do not have enough information to take adequate action. The ECDC has recently launched a new monitoring system, in close cooperation with EMCDDA and WHO Europe, which is informed by four guiding principles: simplicity,action-oriented information gathering, the use of already existing data whenever possible and collaboration with key stakeholders. This monitoring system can assist both Member States and the EU Institutions in fighting hepatitis more effectively. 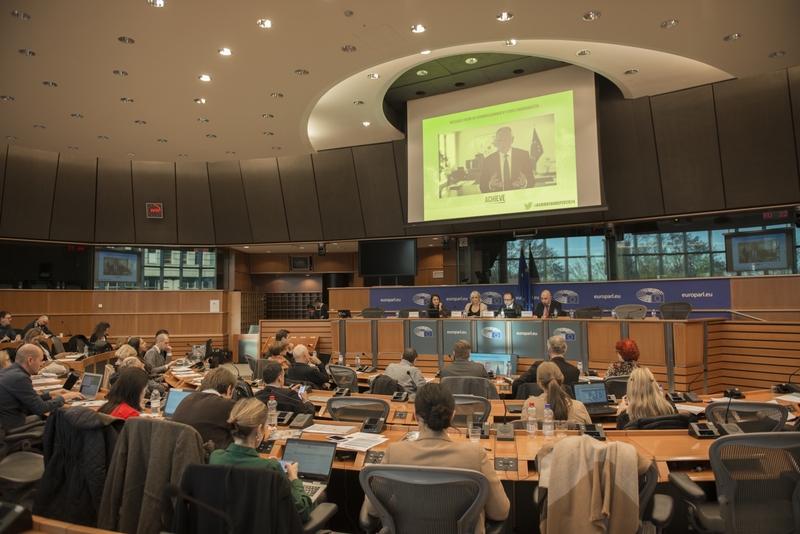 ACHIEVE member Marko Korenjak, the new President of ELPA, praised the work of the ECDC and highlighted the European Commission’s commitment to monitoring hepatitis as part of its commitment on helping Member States’ monitor their progress on the UN SDGs. ACHIEVE members Eberhard Schatz, Project Coordinator at Correlation Hepatitis (European Harm Reduction Network) and Luis Mendão from the European AIDS Treatment Group (EATG), agreed that the civil society can significantly contribute to the collection of meaningful data. Patients and risk groups in particular need to be involved to help national administrations in developing a better informed and targeted elimination strategy. Luis Mendão also highlighted the successful cooperation between the WHO Europe, the EU (ECDC, European Commission and EU Member States) and civil society in the fight against HIV/AIDS which needed to be replicated for hepatitis, rolling out the ECDC’s monitoring system for hepatitis across Europe. Ortwin Schulte from the German Ministry of Health considered monitoring, together with funding a cornerstone of hepatitis elimination. He also highlighted that the outreach to marginalised communities, such as migrants and prisoners, is an integral part of the German response to hepatitis. Ricardo Baptista Leite, Presidentof UNITE – Global Parliamentarians Network to End HIV/AIDS, Viral Hepatitis and Other Infectious Diseases, closed the discussion calling for greater cooperation at EU level. The EU has an obligation to lead on implementing the WHO Global Strategy and the WHO Europe’s action plan, he said. Given the progress already made, the EU should aim at achieving the UN goals much earlier than other world regions. However, for the EU to succeed, European policymakers need to move hepatitis elimination higher up on their political agenda and make sure the national systems response is timely and coordinated.